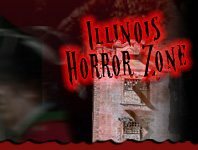 If you've got a little one or aren't one for a major scare, IllinoisHauntedHouses.com has the perfect alternative for you. Not so scary Haunted Houses are an escape from reality, but won't have you losing sleep. Enjoy a “less haunted” version of your traditional haunted house featuring a plethora of decorations, maybe a friendly witch, and some Fall time treats waiting for you at the end. These Not So Scary Haunted Houses bring a Halloween activity that everyone can enjoy and memories that you'll cherish for a lifetime. Start planning now – the Haunt season comes and goes faster than you expect! Matt's Urban Garden - Hoffman Garden Center Volo 178 days ago Rate Now! Selmi's Greenhouse and Farm Market Rock Falls 261 days ago Rate Now! Sonny Acres Farm West Chicago 224 days ago Rate Now! The 200 Acres Great Pumpkin Patch Arthur 194 days ago Rate Now! The Cornstalk Farm Orland Park 178 days ago Rate Now! Wildlife Scary Park Hanna City 226 days ago Rate Now!